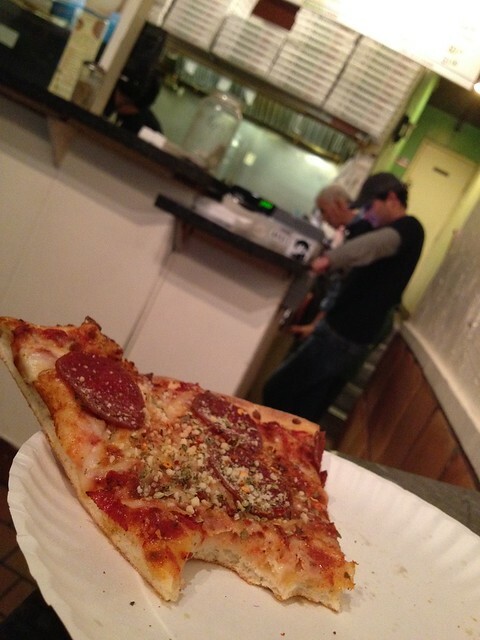 Ah, the good ‘ole 2 AM slice of pizza! I always seem to add more parmesan cheese and dried pepper flakes on top. The better to soak up those pesky Cape Cods, lol! 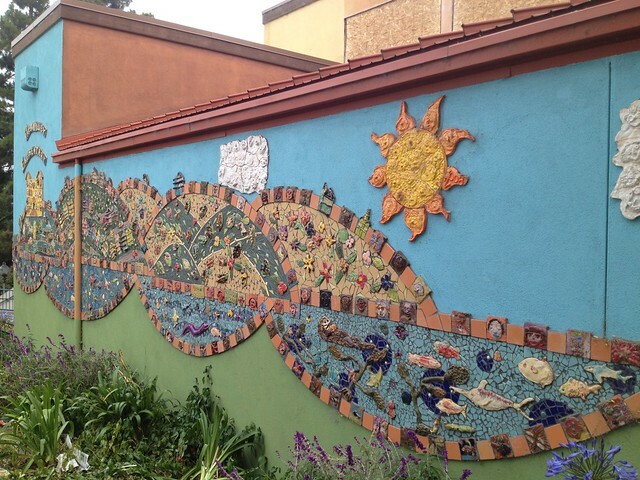 Mosaic mural artwork, McKinley Elementary School. 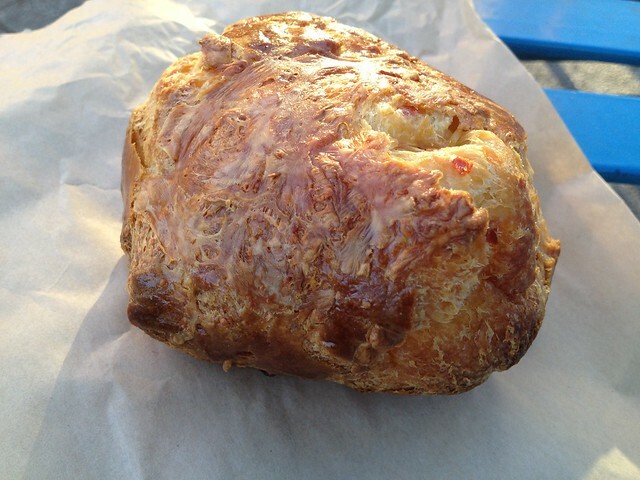 Wow, this gougere tasted incredible! 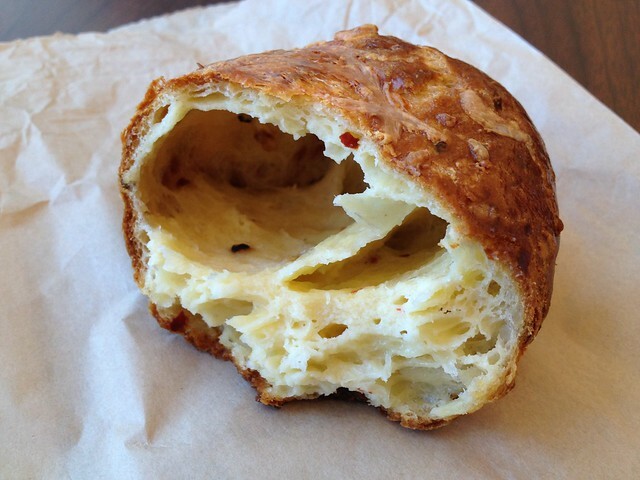 I loved the delicate texture of the interior and the bold flavor of the smoked cheddar combined with the slight heat from the flecks of chili peppers. I’m SO glad that Craftsman and Wolves opened up in the neighborhood – I’m a total fan! The people behind the counter are super friendly too. 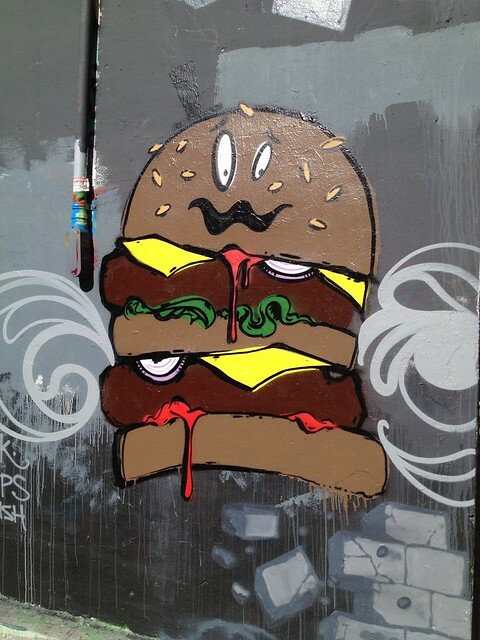 Hamburger graffiti artwork, Osage Street. This is a random one at the end of the street, but I think it’s charming! 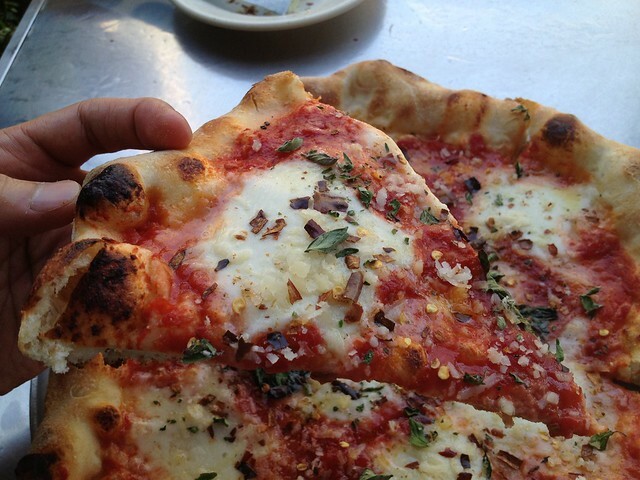 I love, love, love the pizzas at Pizzeria Delfina! 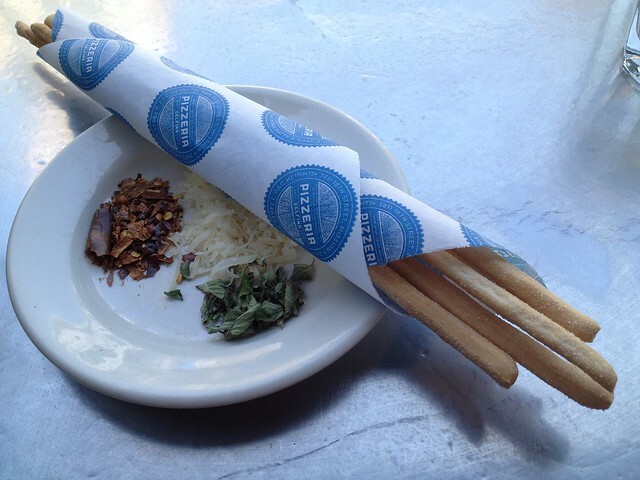 Their crust is so light, airy and flavorful and their sauce tastes amazing. 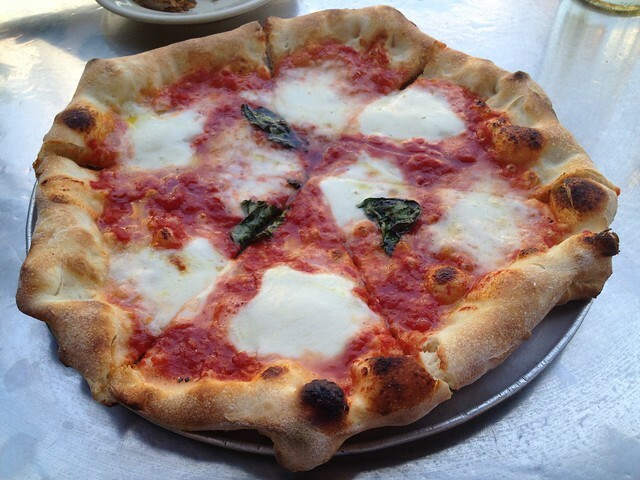 They must use great quality ingredients because no matter how simple the pizza may be, it’s always spectacular. The service is always friendly (not so much when they first opened) and I love sitting at an outside table and people watching. 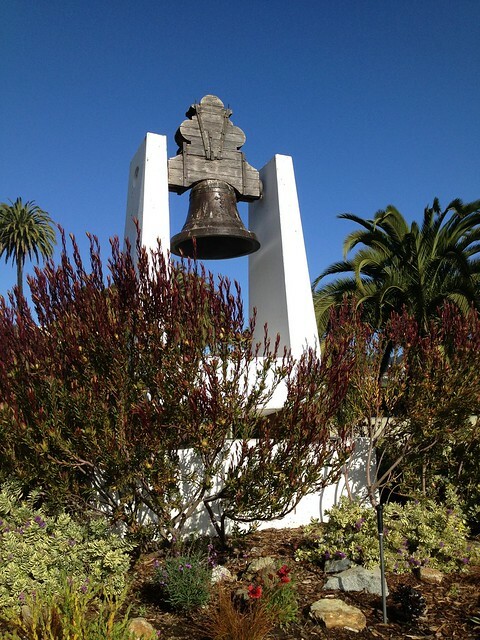 Dolores Hidalgo church bell replica, Dolores Park. 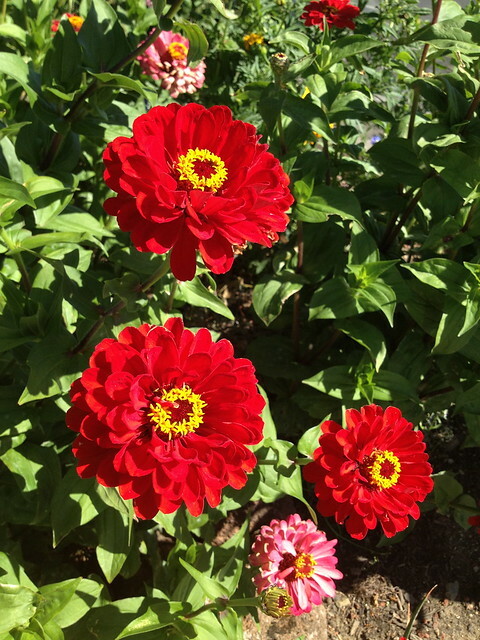 This park is one of my favorites in the city, partly because it’s so close to my apartment. My doggie loves running around and playing fetch at Dolores Park too. This was my favorite of three bars I tried because it was the least sweet! 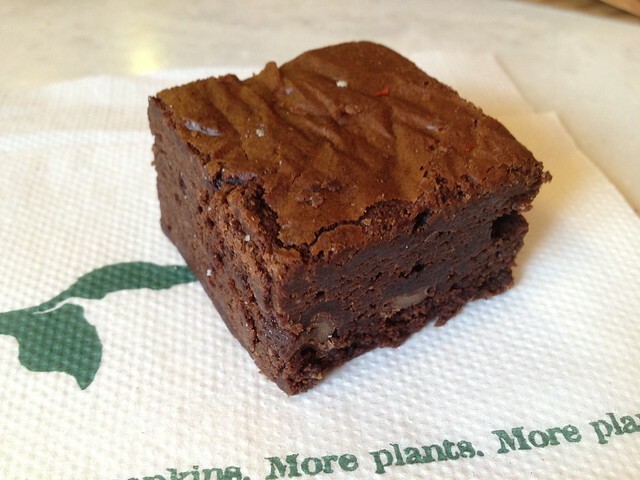 It had a great chocolate and chilli flavor and I enjoyed the dense, fudgey texture. 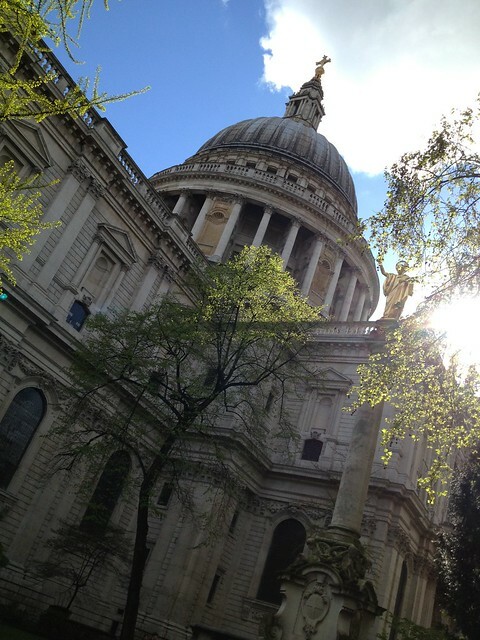 St. Paul’s Cathedral, Statue of Saint Paul. We approached the cathedral from the back side where it’s actually green and quaint as opposed to the stark, cement area in front of it. We walked inside for a little bit and it’s absolutely beautiful! The stained glass windows and large organs are amazing! All of these dishes were preassembled because everything came out suspiciously quick for a super busy restaurant! 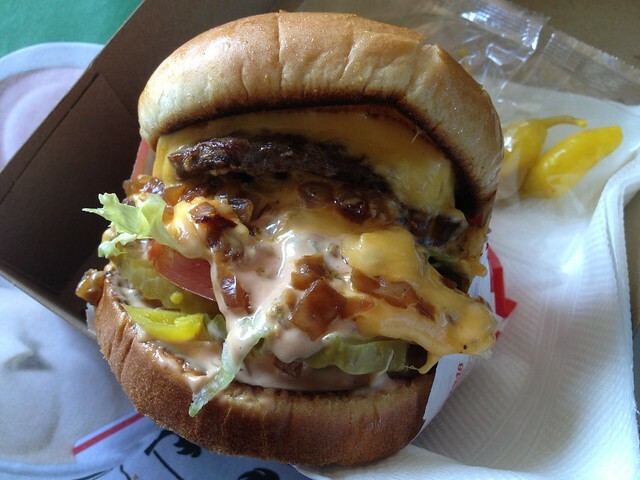 And I mean quick! I don’t mind getting my food quickly, but I still want to feel like they’re cooking back there and that I’m not being rushed out of my table! Sheesh! 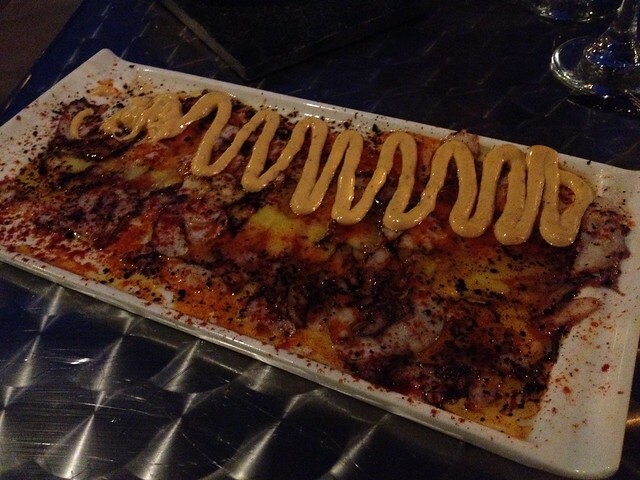 The octopus in this dish was a little chewy. I’d let you know what it tasted like but there was SO much crap on top of it that you really couldn’t taste the octopus at all. 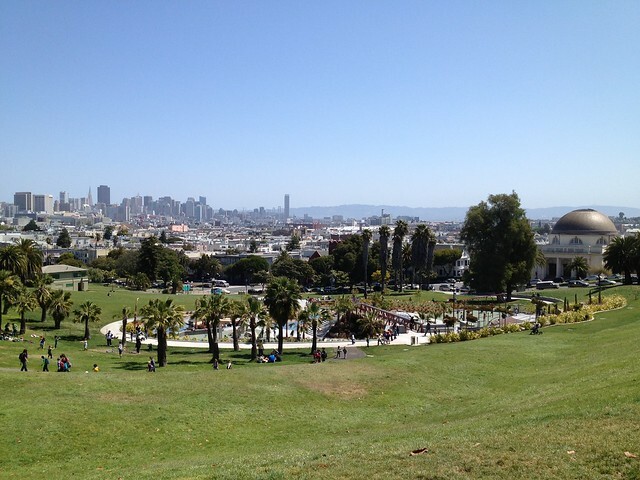 Dolores Park, The Mission. I love the newly rennovated playground area in this beautiful park! Back in graduate school, I would frequently hit this place after a night of clubbing. 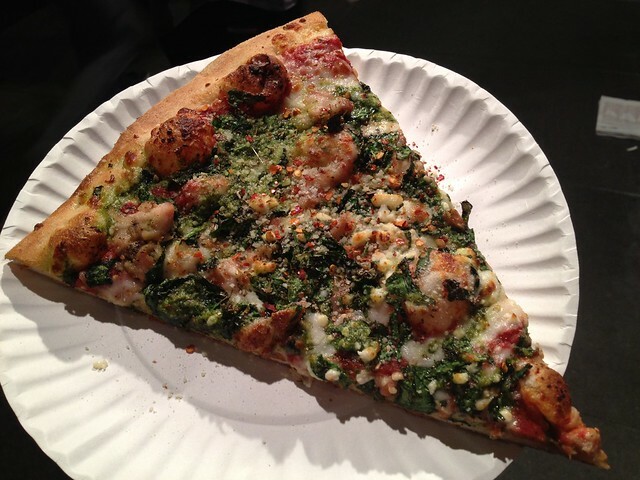 These days, I’m less likely to grab pizza with the afterhours crowd – I’m getting old! I did, however, find myself at Nizario’s recently. I’m surprised I was able to take these pics, lol! 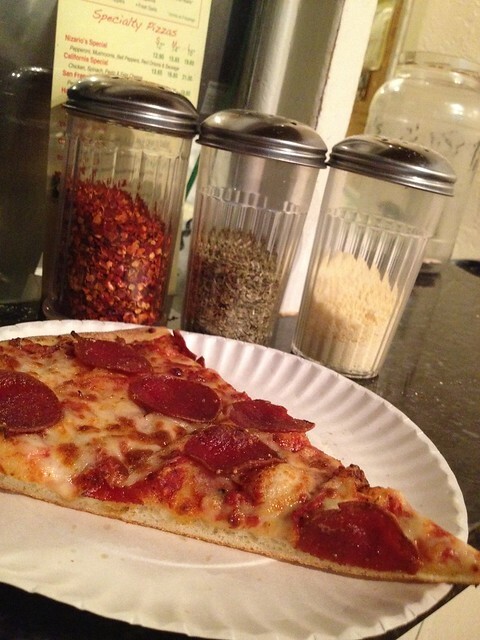 As if a greasy pepperoni pizza slice isn’t enough, I’ll also cover the slice in red chili flakes, oregano, and parmesan cheese. I’m a mess! 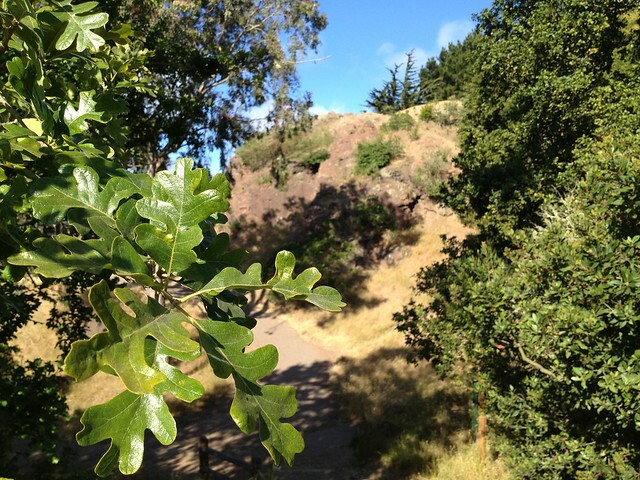 Valley oak (Quercus lobata, Fagaceae), Corona Heights Park/Hill. This is my favorite oak in California. I love the large, deciduous, deeply lobed leaves!